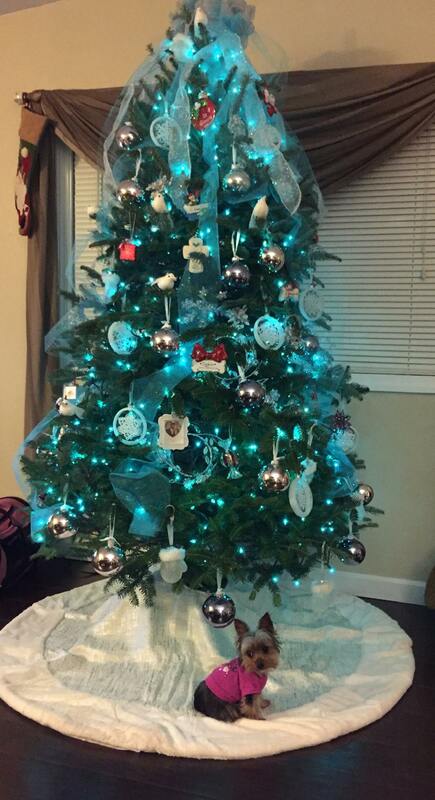 The beautiful color of these teal Christmas lights will have your guests saying "wow!" from the minute they arrive. 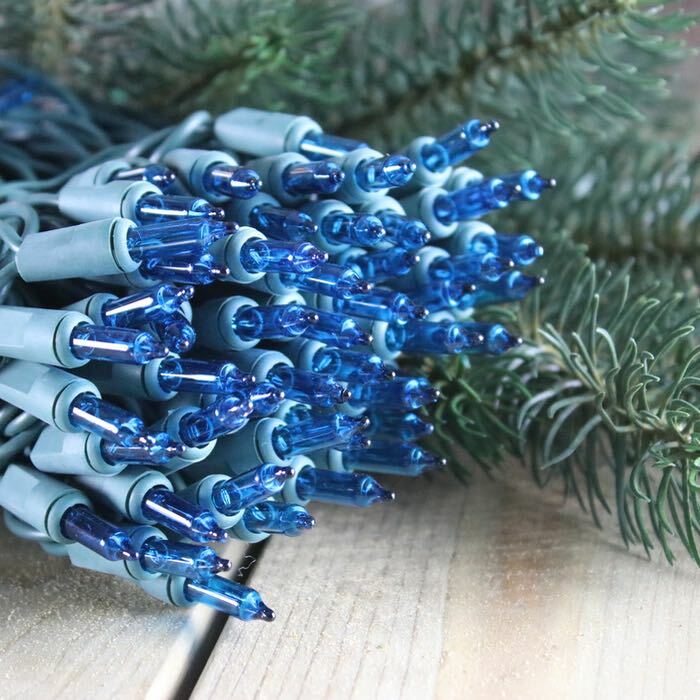 These 50 bulb strings with 2.5 inch spacing are great options for your projects that require tighter spacing, such as wreaths and small trees. Use them on tabletop Christmas trees with silver ornaments. Decorate front door topiaries to welcome guests at your front door. Teal mini lights are equipped with 22 gauge wire and are sturdy enough for all of your indoor and outdoor applications. They are equipped with a standard male and female plug and are set for use in standard outlets. 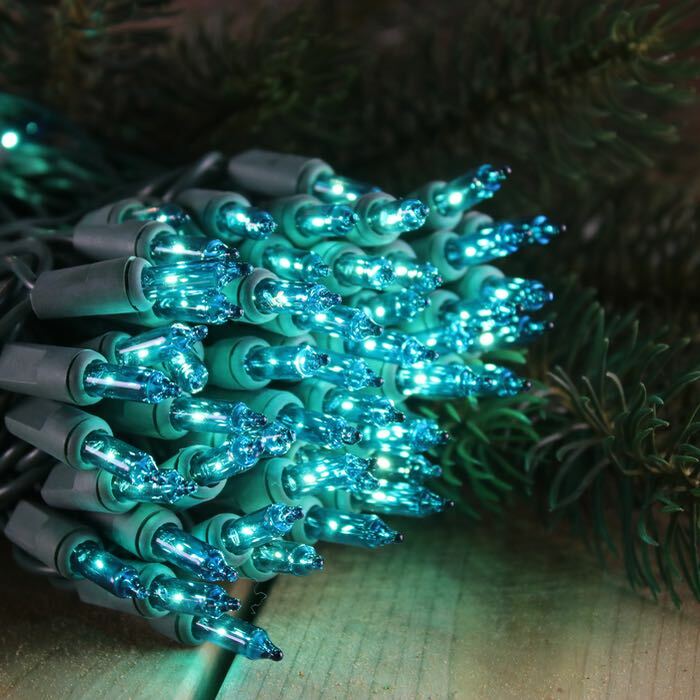 Remember that up to 10 sets of these teal Christmas lights can be run in a series before adding a second extension cord. Great lights for all year 'round Difficult color to find elsewhere. Highly recommend seller. Item shipped quickly. I love these little lights. We always feel a bit down when we have to take our Christmas decorations apart, so I decided to keep the mantel swag up and decorate it with these teal lights since that's the main color in our living room. We both love the look. Thank you for the lights. They arrived very quickly, and I put them right up. Loved the color! Just what I wanted. The price was great and delivery was very fast. Will definitely purchase from you again and will recommend! Q: If one light goes out on this string of lights, do all the lights go out. However, if your bulb is “out” because it has been removed from its socket or the socket has been damaged it will cause all or part of your light string to go out.